Torquay United manager Martin Ling says he is confident that he has enough cover in defence after the sale of Chris Robertson to Preston North End. Robertson, 25, left for an undisclosed fee on transfer deadline day. "I don't think this move will weaken the team because we have Brian Saah on the bench," Ling said. "I felt our team was just as strong when Brian was playing at centre-back with Mark Ellis as we were with Robbo playing," the Torquay boss added. Following Robertson's departure, Ling says he is more interested in getting an attacking player to the club when the loan market re-opens, rather than another defender. This is despite Ling bringing in centre-back Tom Aldred to the club on loan when Saah was injured in November. "We will certainly be working in the February loan market for an extra forward player but we might wait until a problem arises for the centre-half position," he added. "For the meantime, we have back-up in the position with Lathaniel Rowe-Turner, Ed Palmer, Joe Oastler and Daniel Leadbitter, all of whom have played at centre-half. "These players could plug a short-term gap but if we pick up an injury and need to fill the void for a longer period, then I would explore the loan market for a more permanent solution." 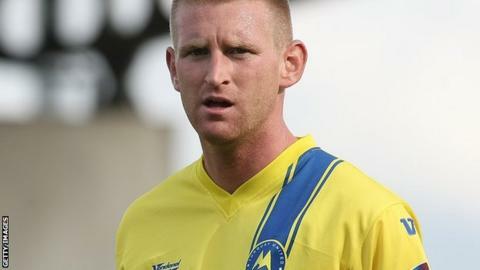 Robertson was Torquay's second-longest serving player, but was out of contract in the summer. Ling believes Robertson would not have stayed at Plainmoor once his contract had expired. "Chris was offered top wages at our football club, equivalent to the top earners on our books," he said. "Even with that offer on the table, Chris was adamant that he would be heading north in the summer. "He is on a Bosman free in the summer and felt it was time to move back north. "The options were to either run him until the end of the season, which I was prepared to do, or see what interest was out there. "A couple of League Two clubs made enquiries, which we explained to Robbo, but we felt we could compete with them. Once Preston became part of the equation, there was no way a club of our standing could compete with them." And chairman Simon Baker said the club did not need to sell a player to make the books balance. "It is sad to see Robbo leave and I would reiterate that he didn't need to be sold, but it was a decision that made financial sense and we have an excellent alternative on the pitch," he said.